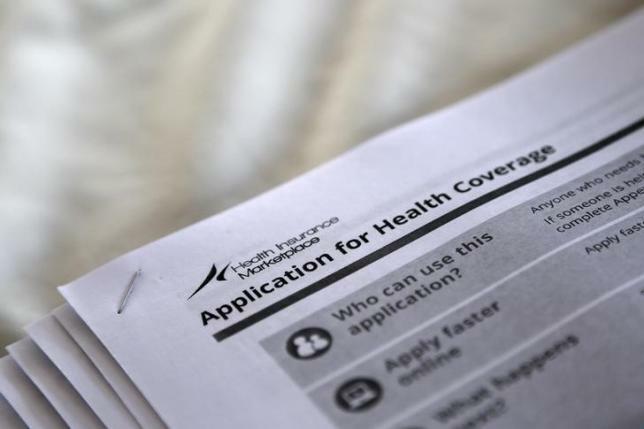 NEW YORK – Some health insurance plans sold on the Affordable Care Act’s federal marketplace may not provide reasonable access to medical specialists, new research suggests. Under the act, also known as Obamacare, the federal marketplace offers subsidized private health insurance to consumers in states that didn’t establish their own health insurance exchanges. About one in seven health insurance plans offered on the federal marketplace in 2015 did not provide access to in-network doctors for at least one medical specialty, researchers found. “People need to be really mindful of what they’re actually getting with their plans,” said lead author Stephen Dorner, of the Harvard T.H. Chan School of Public Health in Boston. He and his colleagues write in JAMA that nearly 12 million Americans gained health insurance through the 2010 law’s marketplaces. By law, insurance plans are supposed to ensure “reasonable access” to providers. For the new study, the researchers looked at 135 health insurance plans in 34 state marketplaces that were available during the 2015 open enrollment period, when people can select their plans. Using the plans’ physician directories, they looked for in-network specialists who would be covered by insurance, including obstetricians/gynecologists, dermatologists, cardiologists, psychiatrists, oncologists, neurologists, endocrinologists, rheumatologists and pulmnologists. Overall, in April 2015, 18 plans in nine states lacked in-network specialists for at least one specialty within a 100-mile search area, and 19 lacked specialists within a 50-mile radius. Endocrinology, rheumatology and psychiatry were the most commonly excluded specialties. Another seven to 14 plans had fewer than five in-network doctors in those fields. When the researchers repeated their search in May, six of the 19 plans lacking specialists had added more providers. The researchers also found that people enrolled in plans that lacked access to specialists had high out-of-network charges for doctors’ visits and medication. In some cases, they had to pay half or more of all costs. “What this basically translates into is huge out-of-pocket costs for the consumers,” Dorner said. Clare Krusing, the press secretary for America’s Health Insurance Plans, told Reuters Health by email that the new research ignored state standards for time and distance requirements. Also, Krusing said the researchers did not account for the number of specialists operating in specific states, and didn’t acknowledge that plans have processes and programs in place to ensure patient access. The researchers say the study relied on network directories, which are known to overestimate in-network providers (see Reuters Health story of Oct. 29, 2014 here: reut.rs/1N5R0mS). They add that the problem of access to in-network specialists may be even worse in rural areas. “I think on the consumer side, they need to be really watchful of what is actually contained in their plans and what they’re getting,” Dorner said.